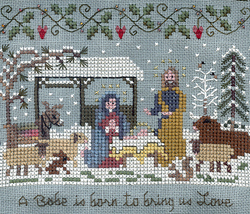 Story of the first Christmas! Come shepherds see the wondrous sight. 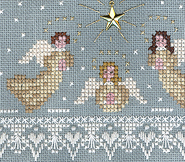 ACCESSORY PACK: Ask for the Heirloom Nativity Accessory Pack at participating needlework shops. They are also available online in our Catalogue.